Professor of Electrical and Computer EngineeringDr. Ramesh is the Director and Lead Principal Investigator of this USDE program. 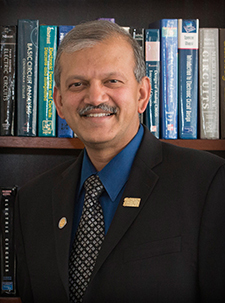 Earlier he served as the Dean of the College of Engineering and Computer Science at California State University, Northridge from 2006 – 2017. 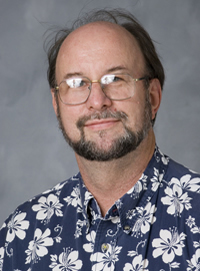 Prior to joining CSUN he was Professor of Electrical and Electronic Engineering at California State University, Sacramento, where he was the Department Chair from 1994 to 2006. He served as the PI of the nationally acclaimed original five year AIMS2 (www.ecs.csun.edu/aims2) program to graduate underrepresented minorities in engineering and computer science which was originally supported with a five year $ 5.5 Million grant from the US Department of Education in 2011; and was selected for a sequel five year grant of $ 6 Million in 2016. Dr. Ramesh serves on several Boards including the IEEE Educational Activities Board, the IEEE-HKN Board of Governors, and ABET Board of Delegates. He is the 2016-17 IEEE Vice-President for Educational Activities, as well as the IEEE-HKN President for 2016. In 2014 Ramesh was invited by the White House Office of Science and Technology Policy (OSTP) to host one of the four national White House STEM workshops at CSU Northridge to broaden participation of minorities in the STEM disciplines, remove barriers, and improve student graduation rates- especially in engineering and computer science. Dr. Ramesh’s professional interests are in Fiber Optic Communications and he received the BE (Honors) degree from the University of Madras, India, in 1981, and the MSEE and PhD degrees from Southern Illinois University, Carbondale, in 1983 and 1986 respectively. He is a Fellow of the IEEE recognized for his contributions to entrepreneurship in engineering education. For additional information please visit http://www.csun.edu/engineering-computer-science/ramesh.